"Covers" refers to the number of people who eat in a restaurant. If a restaurant has more covers, then it sells more food and consequently increases its revenue. This is crucial to pay staff and settle bills. You can increase the covers in a restaurant by implementing techniques designed to stimulate business growth. Essentially, you need to change the marketing strategy, update the menu or have a price review, to encourage more people through the door. Write down a list of the reasons why people are not choosing to go to the restaurant. Perhaps it's dirty, the prices are too high, unfriendly staff, outdated menu or lack of publicity. Plan a strategy to reverse each of these problems. For example, explain to impolite staff members that its important for them to interact with customers, rework the menu with the chef, or hire a professional cleaner to provide a thorough spring cleaning. Makeover the restaurant to give it a new lease of life, but make sure that the restaurant's style is in-keeping with the type of customers it attracts. If it is a high-end place, use candle light and table cloths to add atmosphere and justify higher prices with fresh, locally sourced ingredients -- and state this on the menu. Run special offers to encourage people to dine at the restaurant. Two-for-one deals, discount lunches or meal deals will entice people inside because they can save a few dollars. Organize and update the type of promotion you run to avoid boring customers with the same deal. Promote the restaurant in local newspapers, magazines and radio stations. Invest in printing a 20% discount voucher in the newspaper, for example. Hand out fliers in local shopping centers. Include the restaurant's contact and location details. Host a website to give the restaurant an online presence. If it already has one, modify it with up-to-date menus, contact details and discount vouchers. Add new images or color schemes to attract web viewers. Promote the restaurant by social networking. For example, set up a Facebook page that tells customers about new menu options, offer recipes for restaurant favorites and write up special promotions. Or, Twitter about the restaurant's celebrity guests and the chef's top tips. 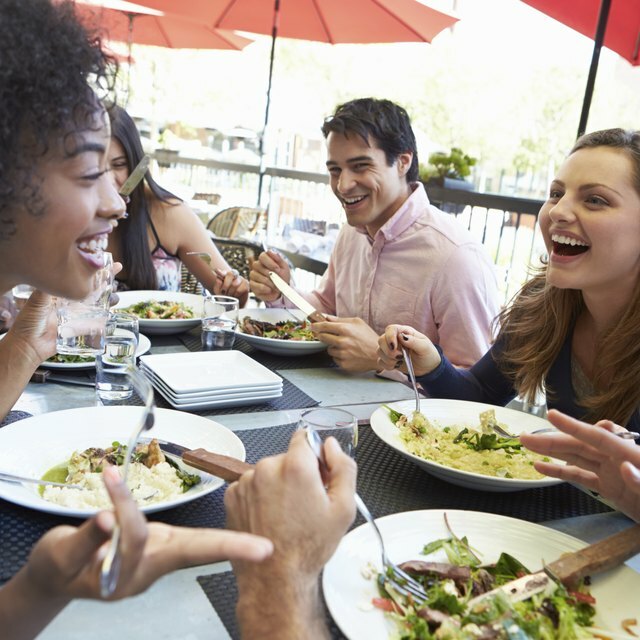 Be prepared to see a gradual increase in people eating at the restaurant. Word of mouth and a combination of strategies will increase covers over time.